​The Road Home: A Plan to End Homelessness in Fredericton is the result of extensive research and planning. 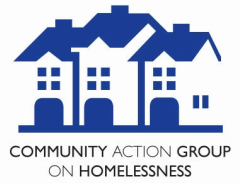 It outlines strategies and actions that will lead to an end to chronic homelessness in Fredericton. The goals of the plan involve affordable and supportive housing development, as well as community collaboration and the adoption of a Housing First systems approach. The time has come to stop merely managing homelessness: with the Road Home, we will work toward ending long-term persistent homelessness in our community.